Written by Jeanne L. Wilson. During the last few years, Russian-Chinese relations have become steadily closer. Realist theory can explain this development as a consensual desire by the two states to counterbalance against the hegemonic power of the West, especially the United States. This assessment, however, receives additional depth when an ideational element is included. In fact, Russia and China share aspects of a convergent national identity with respect to a number of values and norms, that posits an alternative worldview compared to the neo-liberal political perspective set forth by the West. At present, Russia and China present their ‘comprehensive strategic partnership’ as rooted in the premise of equality and mutual respect. The question remains, however, as to whether this relationship can remain defined by such egalitarian values. The stark fact is that China is almost universally considered to be a rising power, while Russia is, at least in a relative sense, in a situation of decline. The equilibrium of the interactions between these two states is also challenged by China’s ambitions, under the leadership of President Xi Jinping, to assume a leading voice on the world stage. 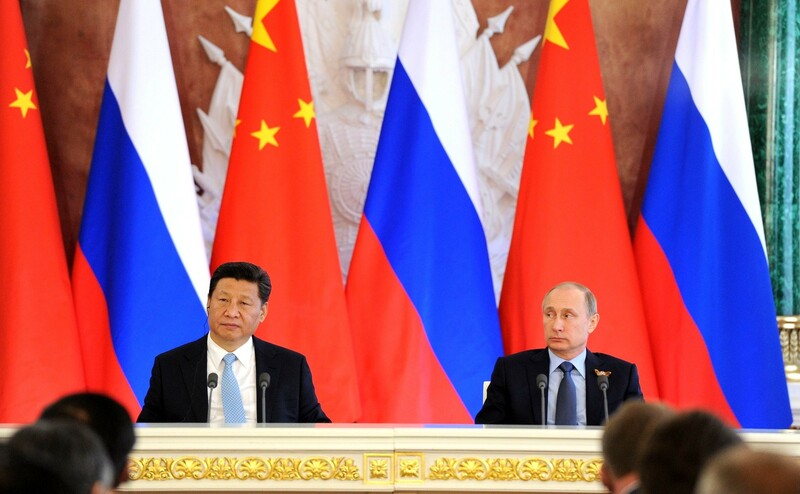 There is a distinctly paradoxical element to the Russian-Chinese relationship. On the one hand, both Russian and Chinese analysts acknowledge that the level of trust between the two states (longstanding wary partners) is increasing. On the other hand, this increased congeniality does not wholly obscure underlying tensions, that are most notably manifest in the economic sphere. According to the CIA World Fact Book, China’s GDP (measured in purchasing power parity) has surpassed that of the United States, and at an estimated, 23.12 trillion dollars (2017 estimates) exceeds that of Russia (4 trillion dollars) by a factor of almost six. The Kremlin is highly aware of its vulnerable position. China is Russia’s largest trading partner, with Russian-Chinese trade turnover calculated at 84.07 billion dollars for 2017, an unanticipated 20.8 percent increase. Nonetheless, the commodity composition of Russian exports to China is overwhelmingly based on energy resources and raw materials, a situation that illustrates the Kremlin’s justifiable fear that Russia could be reduced to a raw materials appendage of China. In 2016, for example, the top five exports that Russia sent to China were crude petroleum (53 percent), refined petroleum (7.1 percent), sawn wood (5.4 percent), frozen fish (3.4 percent) and gas turbines (3.2 percent). The Kremlin is also acutely aware that the Chinese economic juggernaut poses a threat to Russia’s perceived sphere of influence in the post-Soviet space, especially in Central Asia. The Russian authorities distanced themselves from Xi Jinping’s unveiling of the One Belt One Road (OBOR) initiatives in 2013 and initially turned down the invitation to join the Asian Infrastructure Investment Bank, its chief funding underwriter. Eventually, Russian officials realized that they had no realistic opinion but to concede to the inevitable and embrace the project, securing Chinese acquiescence to a coordinated effort between OBOR and the Eurasian Economic Union. The Kremlin has similarly sought to put a good face on its ‘pivot to Asia,’ heralded as a turn toward China and the other dynamic economies of the East. The reality is more nuanced: although the Kremlin has sought to develop ties with Asia for decades, the movement itself was largely a response to the economic sanctions imposed by the West in the wake of the annexation of Crimea. Here, too, Russia’s potential vulnerability is exposed insofar as the Kremlin has lifted a series of informal restrictions that previously applied to Chinese foreign investment. So far, however, the Chinese have shown little interest in favouring friendship over profit as a means of selecting investment opportunities. Chinese investments have tended to be skewed toward the energy sector, at the risk of threatening the Kremlin’s longstanding commitment to the diversification of its energy suppliers. This is seen especially in the deals that the Chinese have struck with oligarchic friends of Putin, i.e. the provision of a 2013 loan that Igor Sechin, the head of Rosneft received from Chinese oil companies, and the 2014 signing of a 30-billion-dollar deal that would supply Russian gas to China. So far, the Chinese have only invested in two projects in Russia through its Silk Road Fund: 1) the purchase of a 9.9 percent stake in the Yamal LNG project in the Arctic and the provision of a 12-billion-dollar credit line; and 2) the purchase by the Chinese oil company Sinopec of 10 percent of the shares of SIBUR, a petrochemical complex. Upon assuming the Chinese presidency in 2012, Xi Jinping quickly indicated a change in foreign policy orientation from Hu Jintao, his famously cautious predecessor. Meeting with President Obama in 2013, Xi noted that the two states should engage in a ‘new type of great power relationship’ (xinxiang daguode guanxi). Xi was further able to capitalize on the unexpected election of Donald Trump to the US presidency in 2016 to lay further claim to the mantle of global leadership. Whereas Trump sought to downplay US responsibilities on the global stage, Xi energetically promoted the positive values of globalization (at least in its economic format). Xi’s January 2017 speech at the Davos Conference was a passionate defence of economic globalization, remarks that he reiterated in his opening remarks at the Belt and Road Forum in May, which served to showcase OBOR. By the summer of 2017, Xi was to be found in Europe, defending the Paris Climate Accord in the face of US withdrawal from the structure. Since Xi first introduced OBOR in 2013, it has morphed into a mega-project with global aspirations. In this sense, OBOR can be seen as a symbolic representation of the structural changes underway in the distribution of power in the international system, with a greater voice accorded to China in managing the global economy. The unanswered, and as yet unanswerable, question is the implications of this development for other key actors. 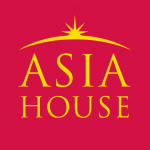 As Christopher Layne has noted: ‘OBOR is a milestone on China’s path to great power status and is one of several indicators of receding American power—not just geopolitically but also in matters involving the international economy and international institutions.’ To date, the Chinese leadership has largely treated Russia with the respect accorded an equal partner. Nonetheless, the relationship is becoming increasingly asymmetrical. Russian president Vladimir Putin has arguably been quite successful in playing a weak hand to its best advantage. But Russia lacks the capabilities, especially in the economic sphere, to command an equal presence with China. It is China, not Russia, that will determine the future course of this relationship. Jeanne L. Wilson is Shelby Cullom Davis Professor of Russian Studies and Professor of Political Science at Wheaton College Norton, MA, USA. She is also a Research Associate at the Davis Center of Russian and Eurasian Studies, Harvard University, Cambridge MA, USA. Image Credit: CC by President of Russia/Flickr.